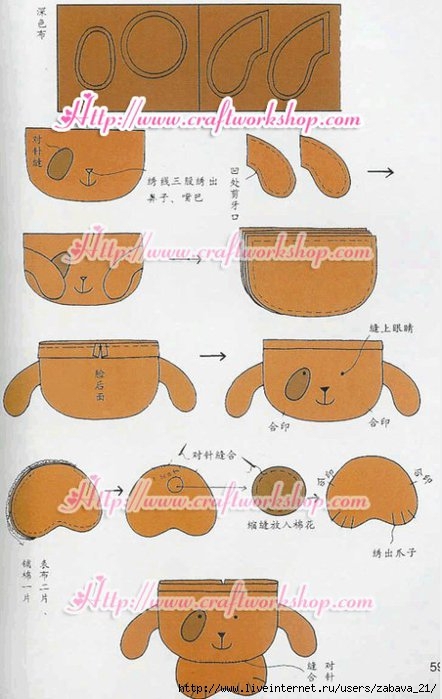 Pouch - packaging in the form of a doggie made of cloth ~ DIY Tutorial Ideas! very interesting idea - a master class how to sew bags for children in the form of dogs, from rags, in the form of toys from the tissue with their own hands. Such bags in a small size can be used as a bag for a girl or a purse. if you make a bigger pattern, you can wear a second changeable shoes for the school.